The Visakhapatnam Urban Development Authority (Vuda) is mulling to develop a satellite township on nearly 900 acres of land near Lankalepalem on the outskirts of Vizag city. The district revenue officials recently concluded a survey of the land, which will be alienated to Vuda to facilitate the development of the township . The 900-acre land piece is located at the intersection of five villages of three mandals in the district. The satellite township will also get a sports complex on a nearly 150-acre area. Even though the state government has been proposing satellite townships with walk-to-work concept within the last three years, it has not made any headway in Visakhapatnam due to various reasons. If everything goes as planned, this will be the first satellite township within the recent times. Vuda is planning to go for the auction/lottery of plots in a 55-acre land in Cherlopallikhandam near Anakapalle. The layout was first proposed in 2010 under the land pooling scheme and so far, the land owners parted with an extent of about 40 acres and registered their lands in favour of Vuda. 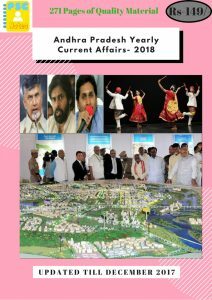 However, another 12 acres of land is not registered in the names of the ryots/land owners in the WebLand (a web-based land records management system of the government of Andhra Pradesh), who gave consent to give their land to the Vuda for development of this satellite township.